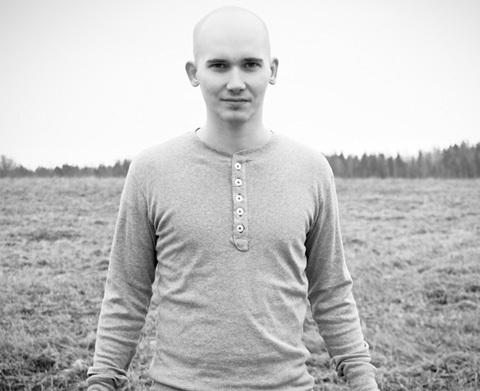 Kalle Vainio (b.1986) is a composer of the new generation whose evocative musical language is a curious fusion of Finnish folk music and minimalism, new simplicity. He has graduated from Sibelius Academy with Master of music degree and composed many compositions including works for piano, viola, orchestra, chamber music, choral and music for traditional Finnish instruments. Recently Vainio has been involved in composing film music, exploring electronic music and discovering spatial phenomena in music. "I'm constantly exploring music. Exploring endelss possibilites of questions why, where and how to create music. Simplicity is also very intreguing - it's like zooming into something very simple and then finding something truly complex." Nocturno is a meditative composition for solo accordion. The musician is able to choose between given chords and in which order they are played. Pauses can be also added on the place of chords. Look up at the night sky and breathe. Look up and see all the stars, breathe. Just look up and you will see more. I was fascinated by this poem by Ezra Pound. It has a juxtaposition that I find inspiring. I wanted to create two different kinds of atmospheres; mechanical and emotional. Mechanical world is based on the binary code of the poem. I composed 16 note length pattern using three different ocatatonic scales. The scale is based on minor and major seconds just like binary code is based on numbers 1 and 0. So when ever there is 0, strings are playing pauses and when there is 1 they are playing a note. Also every letter and mark of the poem has a unique playing style, forexample "space" is always played as a Bartok pizz. Strings are playing the code of the poem where as piano is playing the beat like "metronome". Emotional side is based on the feelings I had when reading the poem. Somehow impressionalism was the perfect answer. Read interesting interview about me. Click here ! Anything can happen when you are dreaming. Some of the material on this piece is actually composed during a sleep. There are multiple layers of different kinds of textures and rhythms that are communicating together. As the dream goes on these familiar rhythms and melodies can occur in different enviroments creating new sounds and textures. Composition for String quartet and lightning design. Shh. Shadows. is quite simple composition for string quartet, but when the musicians are playing, moving and speaking at the same time in a dark room, simple things get's harder. Kalle Vainio (piano) and Miikka Hakomäki (viola) recording a piece called Quicksand. You can listen their new record Glow on Spotify or buy it on iTunes. 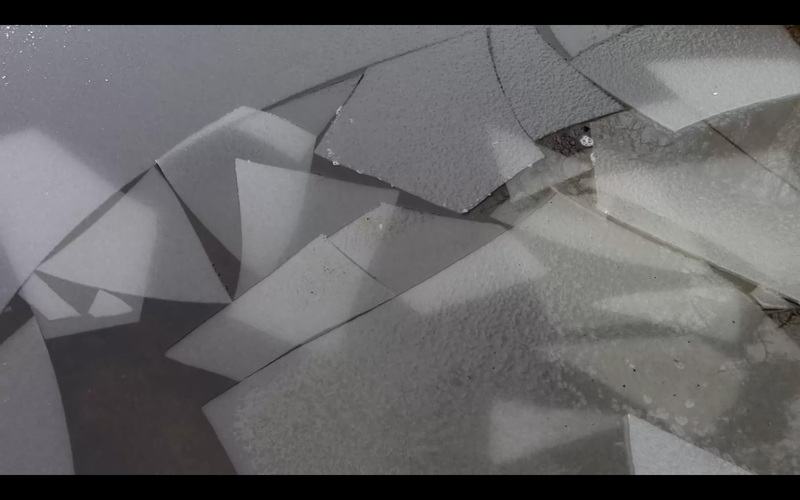 Silent Travellers (2014) is a composition for four violas and a sound tape. This composition was composed to Maarble composition competition and it was ranked for 6th place. Silent Travellers is a piece that focuses on silence, surprise, surprise… There are pauses which travels through the whole piece. Another important focus point is placed in the flowing harmonies. One of the four violas is traveling through the harmonic material. Right in the end the viola parts are also quite violently silenced. The sounds of tape are radio waves that can be detected by our ears if we convert them to sound waves, by using a very low frequency (VLF) receiver. So those radio waves are also traveling through time and space. ...sorrow...(2014) is a composition for string quartet. This piece was composed during a very dark and heavy phase of my life.